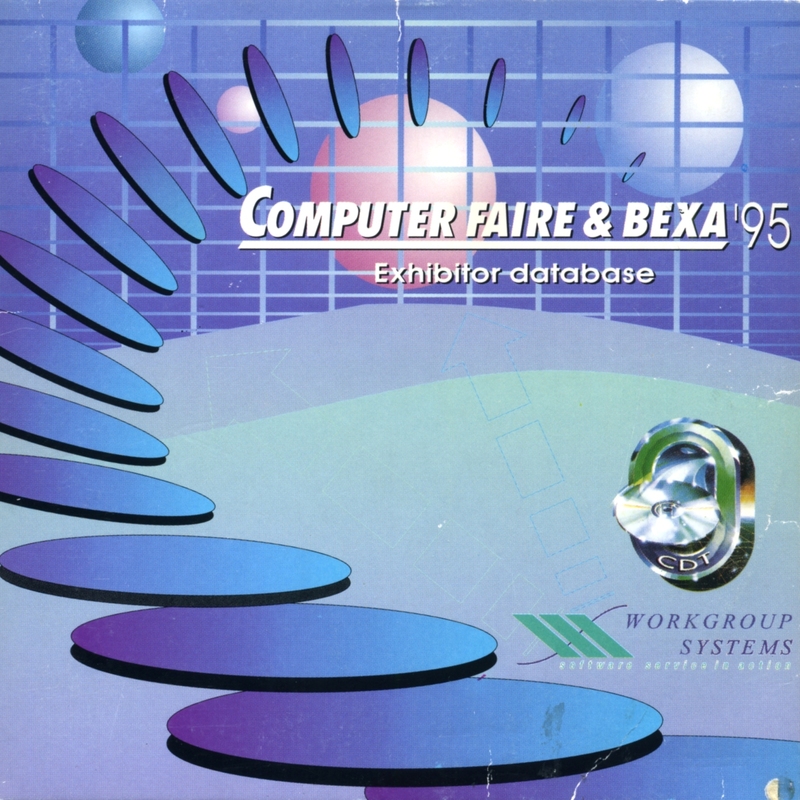 The "Computer Faire and BEXA" was the key South African annual showcase for corporate visitors as well as consumers interested in IT/computer technology and office automation. While not nearly of the same stature as its overseas counterparts, COMDEX, CeBIT, CES or IFA, it could lay claim to being the largest event of its kind in the southern hemisphere. 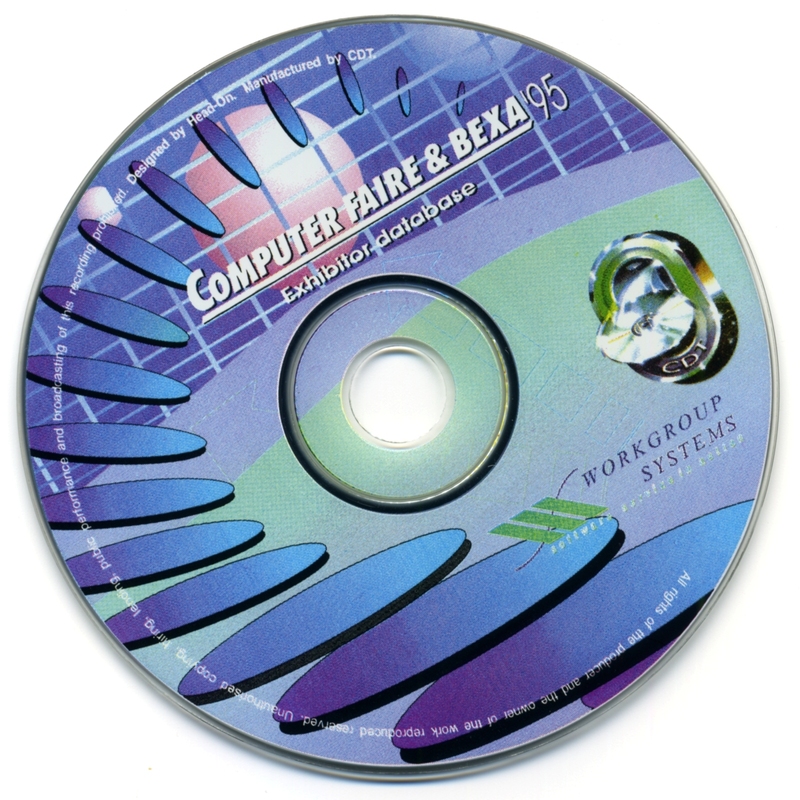 During the almost four decades since its inception, it has been called Computer Faire, Computer Faire & BEXA (incorporating Office Automation), Futurex (following the merger with Tel.com and acquiring a distinctly corporate bent) and Futurex & Equip (with Equip catering to the SME market). "The first Computer Faire in South Africa - held in 1978 just a year after the world's very first computer exhibition took place in California - was really a celebration of technology by what could be termed 'apprentice geeks'. The Faire was staged by TAC2 (Transvaal Amateur Computer Club) with 14 exhibitors. Around 1000 visitors - mainly enthusiasts and the curious - attended. 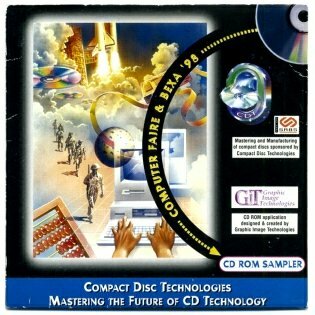 With the exception of 1979, Computer Faire has taken place every year since, which means that Computer Faire is older than the ubiquitous PC, which was launched by IBM in 1981." "But those pre-personal computers - almost the size of a desk, with 16 Kb RAM and an audiocassette as a storage device - have developed almost beyond recognition into devices which pump considerably more power and can fit comfortably into a shirt pocket. 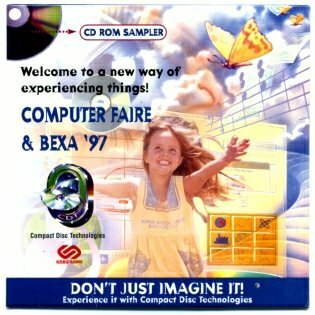 Today, Computer Faire reflects a market that has finally come of age. This is indicated by the fact that information and communications technology is as core to business in the 21st century as the telephone and typewriter was for most of the 20th century." First held in the Kine Centre, opposite the Carlton Centre in the Johannesburg CBD, Computer Faire was an instant success. 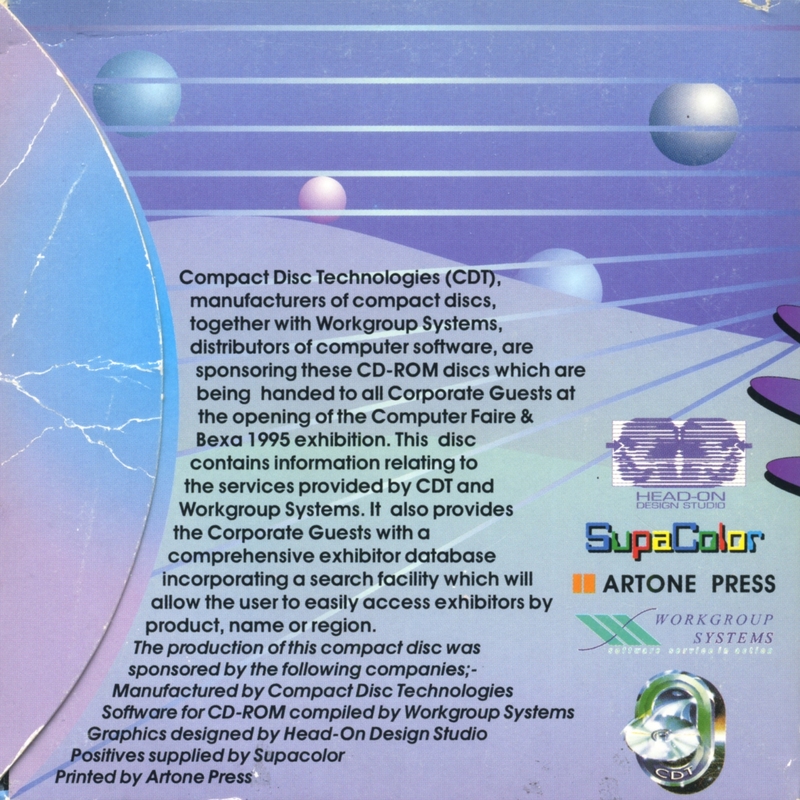 The world of computing was new, exciting and still shrouded in just enough mystery to make it esoteric. Computer Faire quickly outgrew its humble beginnings and moved to the Carlton Hotel and later relocated to the Showgrounds in Milpark. It also acquired a professional exhibition organiser in the form of Alice Goldman. When the Milpark Showgrounds closed to become the West Campus of Wits University, Computer Faire moved to the sparkling new Nasrec showgrounds -- at its peak occupying two of the massive Nasrec exhibition halls. 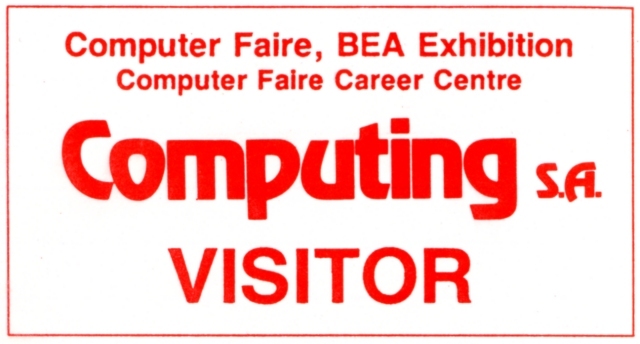 The Computer Faire enjoyed the biggest attendance of any specialised exhibition in the country. According to long-running event MD Jo Melville, attendance figures had increased by almost 10 000 a year since 1992. She attributes this success to the cooperation of the participating exhibitors who contributed to an extensive pre-publicity campaign. 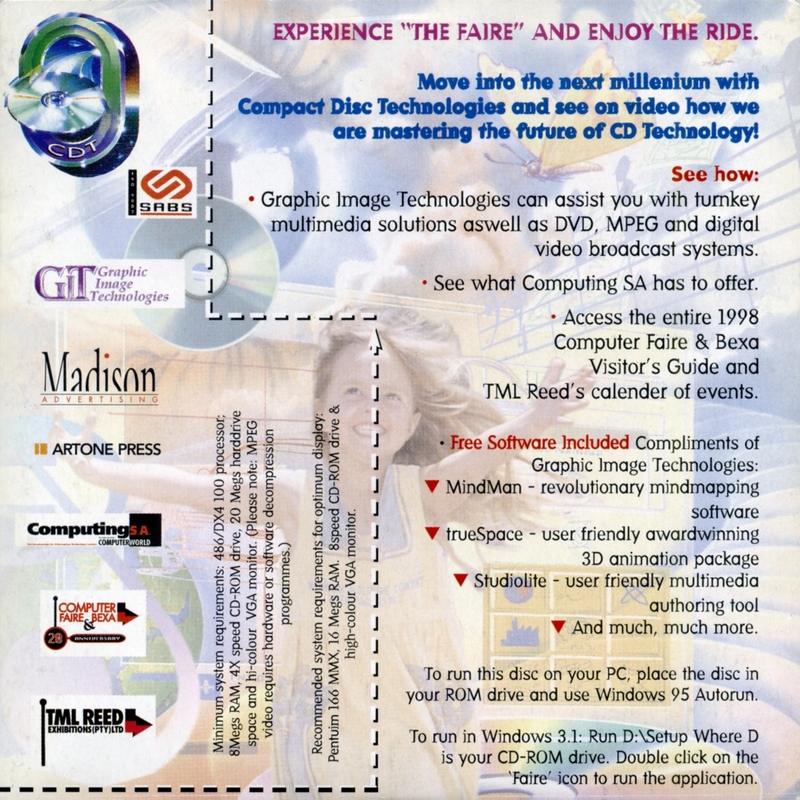 In 2008, Computer Faire organiser Linda Kruger said, "This year, exhibitors will [again] be able to sell products from their stands. 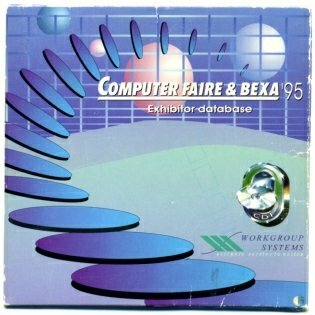 As Computer Faire celebrates 30 years of IT excellence, we thought it appropriate to revert to this platform in recognition of a show that's stood the test of time." It took place at the Sandton Convention Centre from 20 to 23 May 2008. 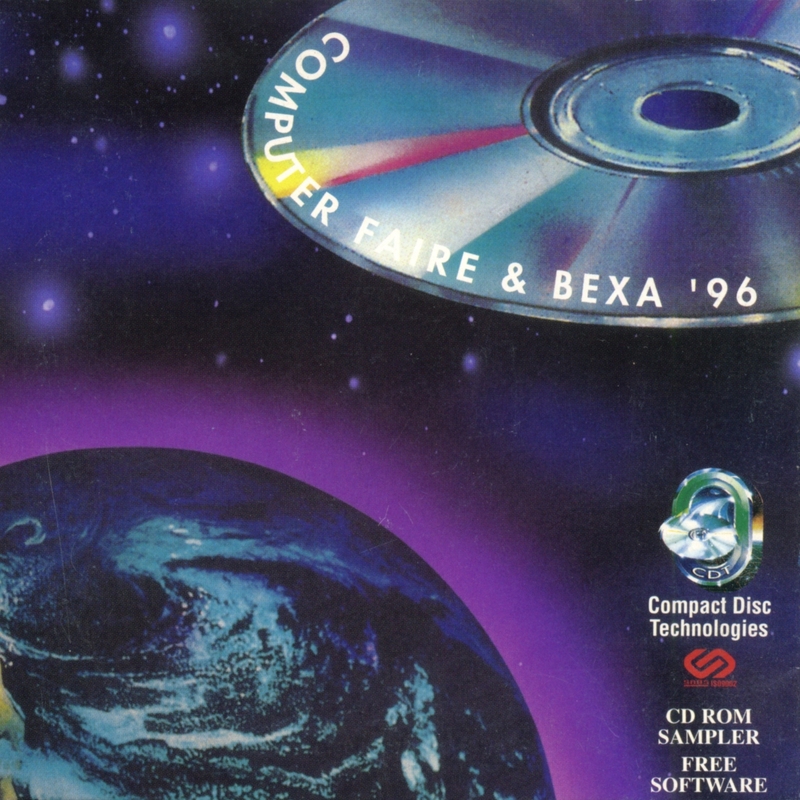 But the 31st Computer Faire (also known as Futurex) did not happen. The exhibitions company that owns the Computer Faire brand, Specialised Exhibitions, hosted another B2B event called IP Expo Africa instead. According to Kruger, Computer Faire was too general. "We're trying to target more niche audiences." 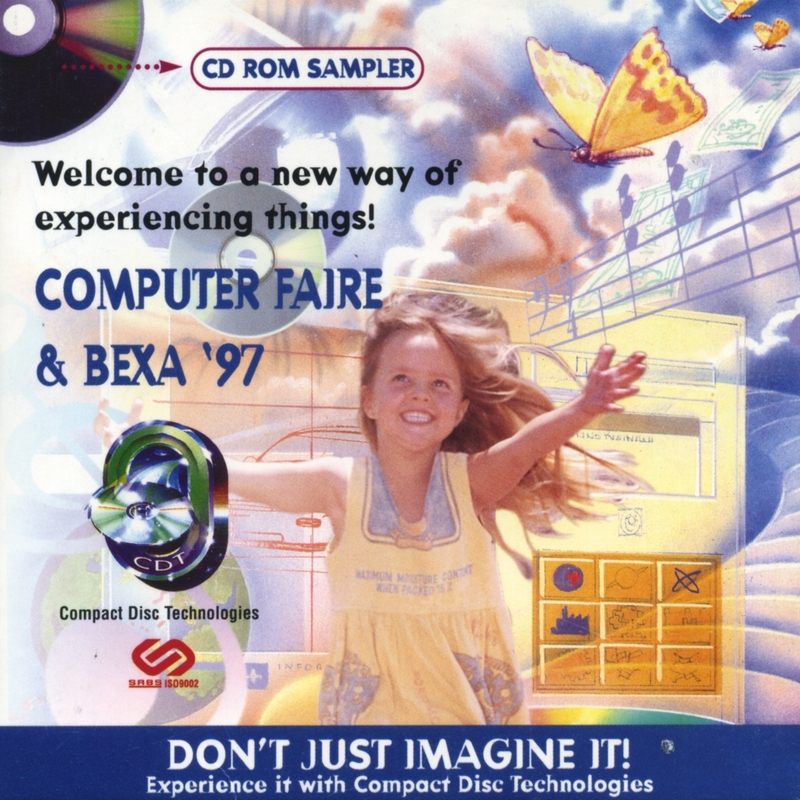 On a personal level, the Computer Faire was the mecca for new technology, demonstrations of the latest gadgetry, and "special bargains". The first time I went was on the 20th of May 1992, a few months after I had bought my first computer. I dread to think of how many thousands of rands I left there over the years, or how much hardware, pamphlets, business cards, or other freebies I came home with. 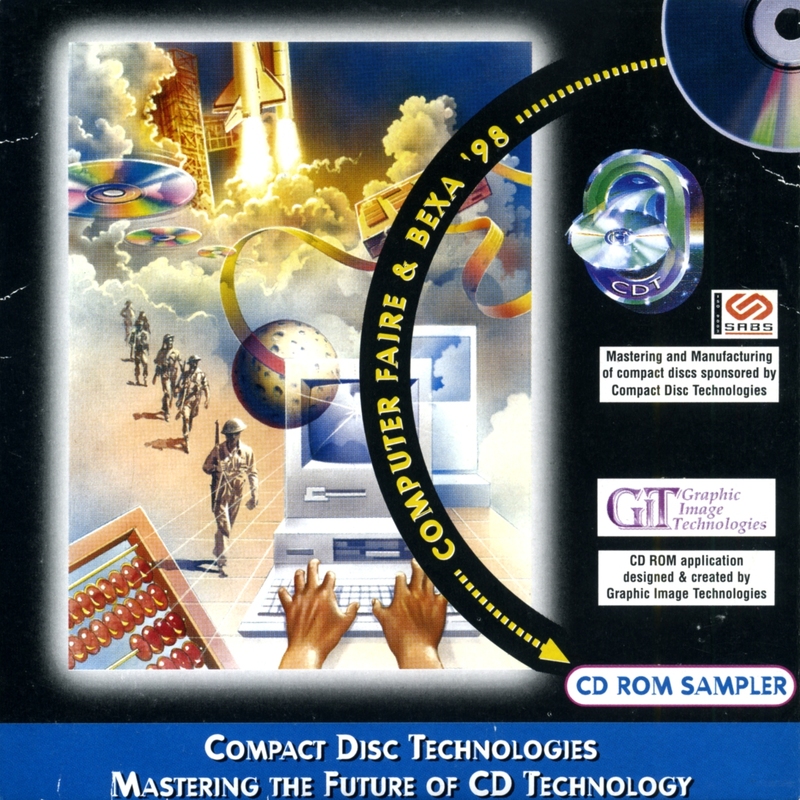 What I also returned with between 1995 and 1998 were four complimentary CD-ROMs -- which are the very basis of this page. It's not known if there were others. 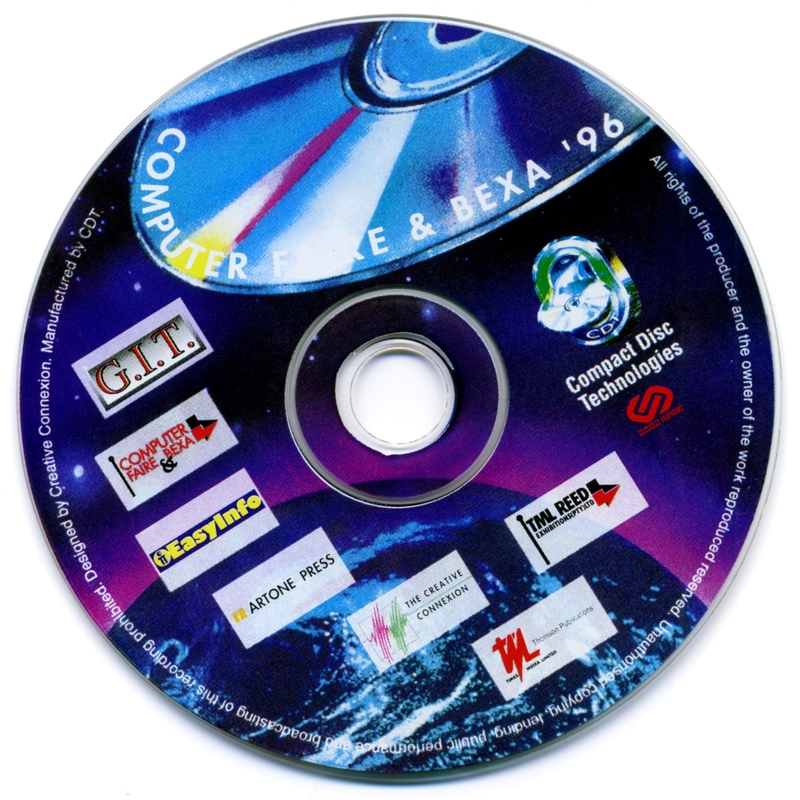 Although the CD-ROMS are shameless plugs for the companies involved in their production, they do include a wealth of information about events that transpired and companies that expired. 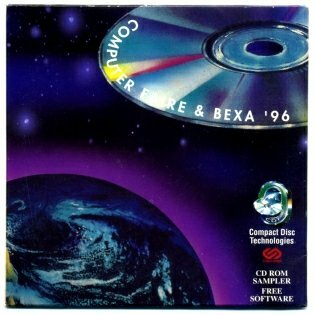 In computer history terms, the mid-nineties were an epoch ago. Multimedia was just beginning to make inroads into the PC market. 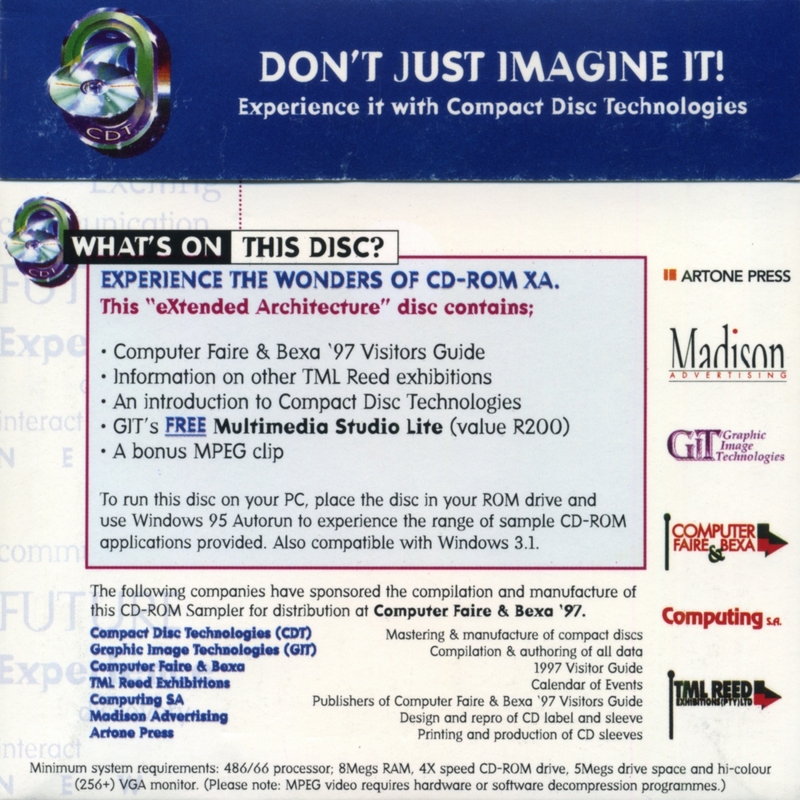 The DVD standard had just been ratified, yet few people even had a CD-ROM drive or a cellphone. There was no Google back then, the World Wide Web was in its infancy. 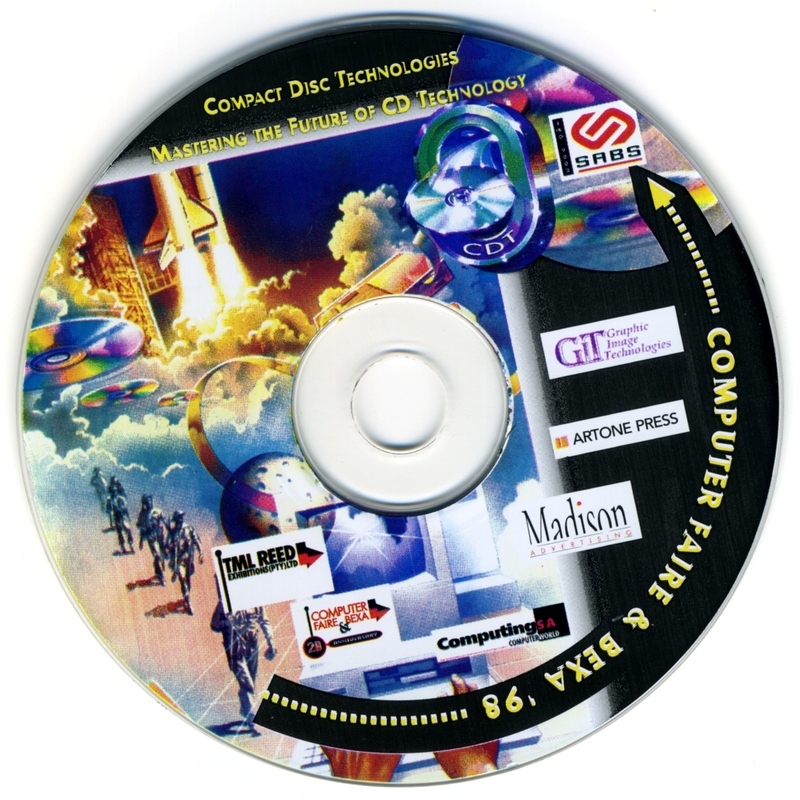 Smartphones and tablets were the stuff of science fiction and "apps" were known as "software programs" that got installed on beige desktop computers running DOS/Win95. 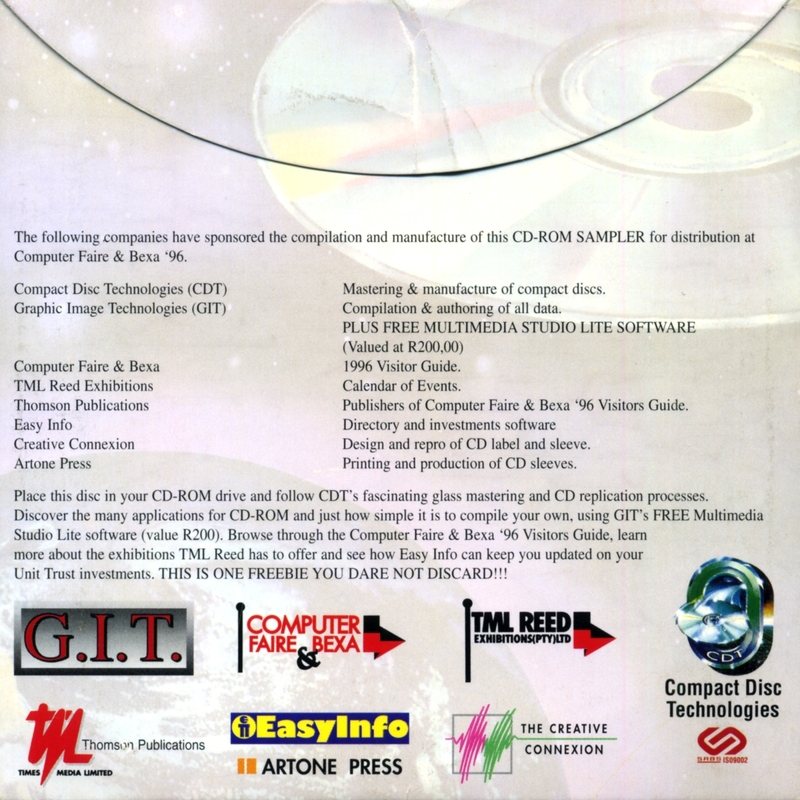 These four CD-ROMs have now attained their degree of historical relevance because of the hopelessly outdated information they contain. The following pages aim to showcase their most relevant and interesting content. Click on the sleeves below for selected highlights from that disc. Typos and flawed HTML were left largely intact.